You married your sweetheart. You have been blessed with children. You have nice cars and you finally bought the house of your dreams. It’s time to ask what will happen to your loved ones and the way they experience life if something were to happen to you. In fact, that question should have been asked when you got married. It should have been asked again when you had kids, and again when you purchased your house. The next question to ask is when to ask that question again. Many Americans are ill-prepared to handle the myriad of issues that can and do go wrong in their day-to-day lives. While it is critically important to consider this question in the context of your untimely death, it is certainly not the only situation in which that question is relevant. 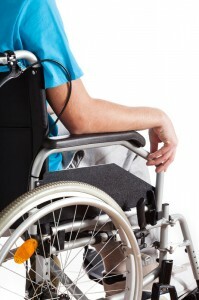 Physical disability is the number one cause of foreclosure in America. What’s more, the chance of becoming temporarily financially disabled at some point in life is far greater than becoming physically disabled. What types of things can happen that can affect your income and ultimately your ability to afford your monthly mortgage payment? We tend to compartmentalize our lives. We tend to make decisions in a vacuum and more often than not, without considering the unintended consequences of those decisions. We act as if circumstances that exist at the time we make a decision will never change and that is simply not the case. Life is a series of expected and unexpected events. We cannot control many of the events, but we can minimize the economic consequences these events have on our lives. We created The CashFlow Transformer™ to address these issue and many others. There are milestone events that trigger the necessity of certain vital documents and protections. Do you know what those milestone events are? We can help you understand what those are and how to act accordingly to protect you and your family in the most appropriate and effective manner possible. To find out if Shawn can help you request a FREE Fiscal Health Score™ and a Financial Vulnerability Assessment™ (a $500 value) at FiscalHealth@YourFavoriteLender.com.